Everything The O.C. 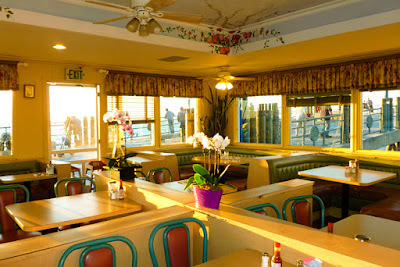 : Behind the Scenes: The Newport Pier Restaurant! 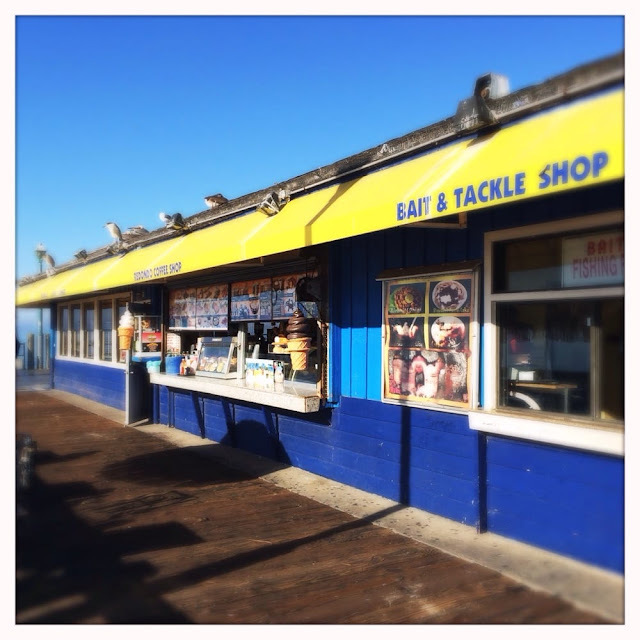 Behind the Scenes: The Newport Pier Restaurant! 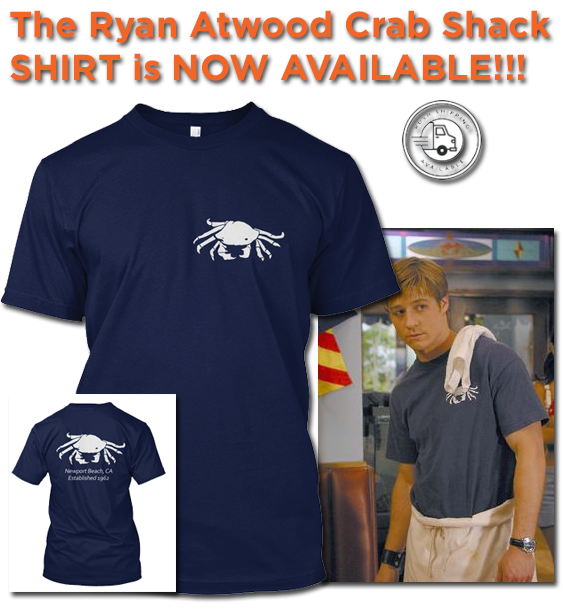 You may or may not know but after a few episodes of season 1 of The O.C., much of the popular interior "Newport" O.C. filming locations we saw in the show were recreated inside Raleigh Manhattan Beach Studios. The Cohen house interior, Ryan's pool house, Marissa's lifeguard tower, Harbor School and more were all just elaborate sets housed within two indoor sound-stages. This is of course is a fairy normal practice in the filming industry. For instance when the TV show's creators know main characters are going to frequent a certain location - like the restaurant that the Friends cast hung out at or the restaurant the Seinfeld cast hung out at - they build a set. This happens because it gets more and more expensive to film on location - Furthermore controlling things like outdoor sounds - lighting etc can be very difficult. Thus you recreate a replica within a film studio, then you can pretty much film and control whatever you want. 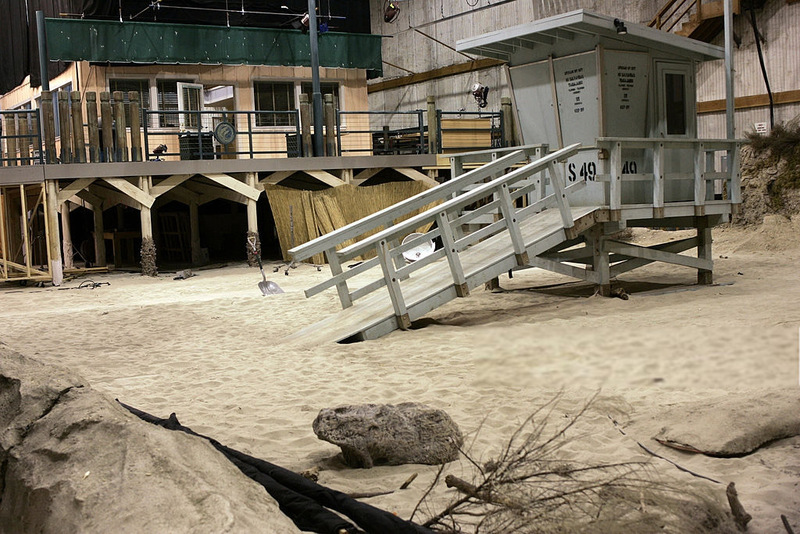 There was a good mix between on location shooting and indoor set shooting on The O.C. but Like anything the best sets were the ones that nobody knew were fake. 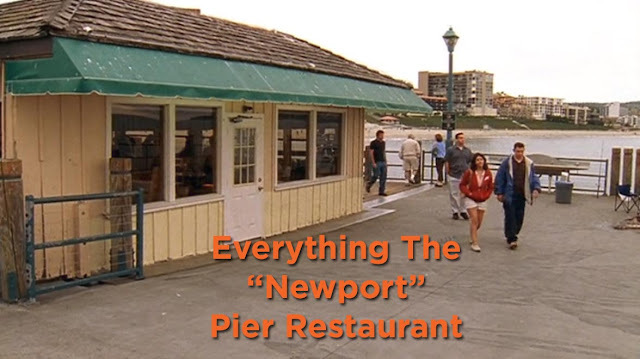 One real location you may have not realized turned into a set shortly after a few episodes was the "Newport" pier restaurant. You know, the place where the core-4 hung out - talked about their big plans or just grabbed a bite to eat. It was also the same place where Ryan punched Luke in season 1 episode 2 "The Model Home". Ohhh memories! "You know what I like about rich kids...Nothing!" On to the good stuff - as you see in the above photo, this is a super rare, one of a kind image that reveals both Marissa's life guard tower and the pier restaurant sets. In the background you will see the exterior of the pier restaurant replica, complete with look-alike pier railing and wooden dock posts as the actual real location in Redondo Beach. 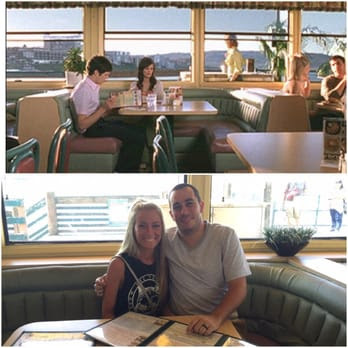 The green thing at the top near the roof is actually a backdrop similar to the Cohen ocean backdrop that can be rolled up and rolled down during filming - the backdrop contains a photo of the actual background at the real pier diner location in Redondo beach giving the illusion that they are really filming on location. To further the illusion the director would have background actors walk back and forth in the window background while the cast members shot scenes from inside. The actual restaurant is called Redondo Coffee Shop & Bait. 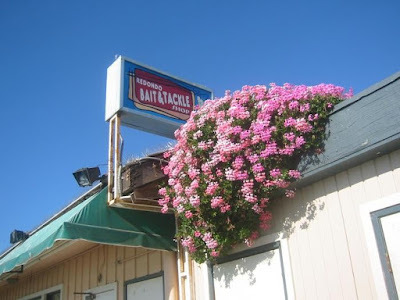 It's a real life coffee shop/cafe that serves breakfast, seafood lunch and deserts but also doubles as a bait and tackle shop - you can actually rent fishing poles from them too. The restaurant is owned by a sweet Korean couple. In the show this location is suppose to be located on the Balboa Pier in Newport but it's actually located in Redondo Beach on a similar looking pier. A ton of on location scenes were filmed around this Redondo beach pier location including The Bait Shop (torn down sadly) and Sandy's law office building. Here is a scan of their most current menu courtesy of SeeingStars.com. 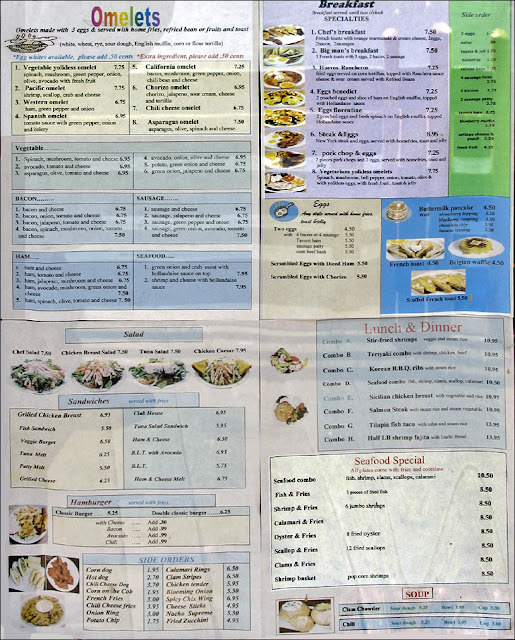 As you can tell they have a wide array of foods and their prices are pretty reasonable. Their Yelp review is actually very good too. 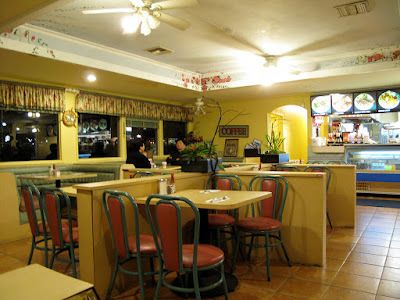 When the show was still on TV the Redondo Coffee Shop was painted green and tan-ish color but this has since been changed to a yellow and blue color scheme. Personally this color scheme looks a lot tackier than the original but it's definitely attention grabbing! 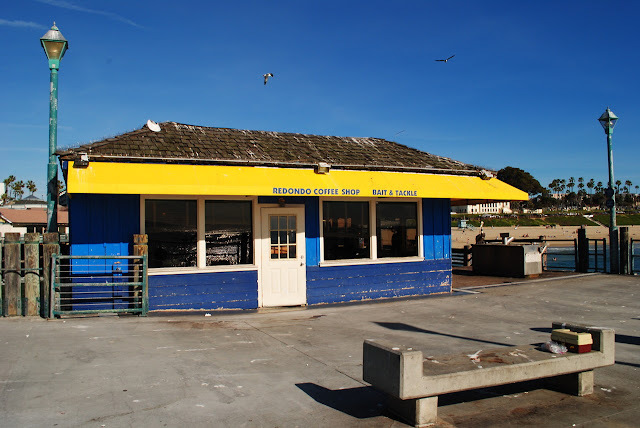 This filming location can be found at 141 Fisherman's Wharf Redondo Beach, CA 90277. Many fans from all over the world have visited this location in hopes to dine in at the 3 booths where actors sat. Furthermore it's a very popular place for locals to hang out that probably never even heard or cared about the show. You can find a an assortment of O.C. 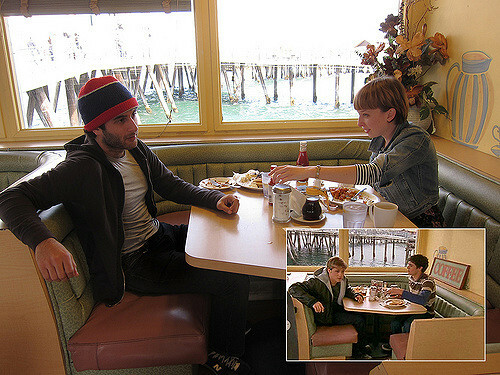 fan pictures within the restaurant scattered around the interwebs - like the two above. 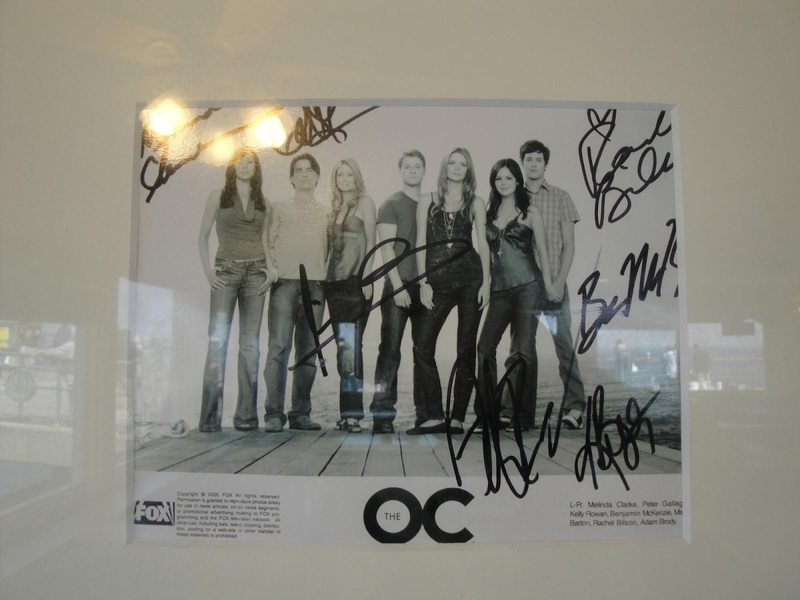 When visiting the restaurant look out for this cast signed autographed photo. 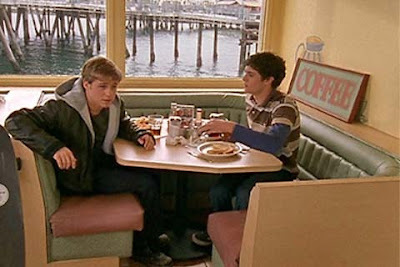 It's hanging inside the restaurant near the corner booth where Ryan, Seth and Marissa sat in season 1 episode 2 "The Model Home". 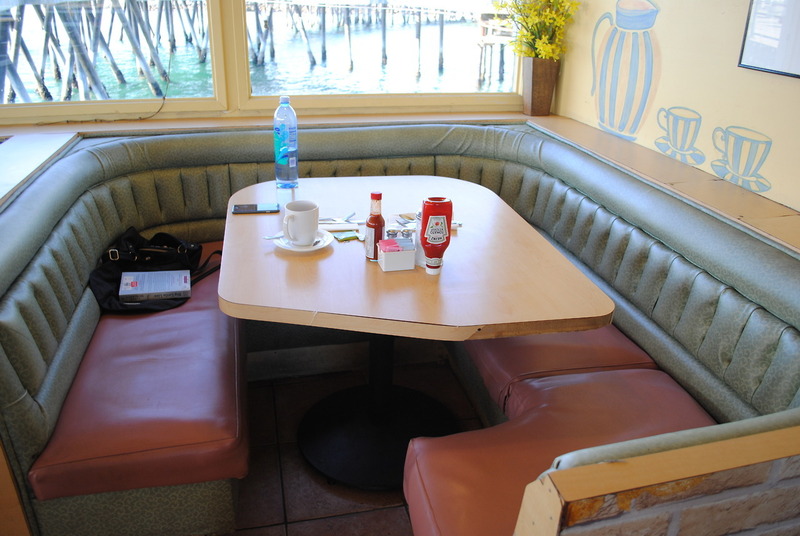 Here is the corner booth that Seth, Marissa and Ryan actually sat in season 1 episode 2 "The Model Home". There used to be a coffee sign on the wall but has since been removed. However the big tip off is a painting of a coffee pitcher and two coffee mugs, has been there since 2003. The white frame at the top right corner is the autographed photo shown above. Last but not least a 360 movable photo a fan shot in the famous corner booth. So there you have it - alittle piece of O.C. history! Not only can you sit your tush where the cast of the O.C. sat their tush but you can also get your eat on - not a bad combination if you ask us! The O.C. 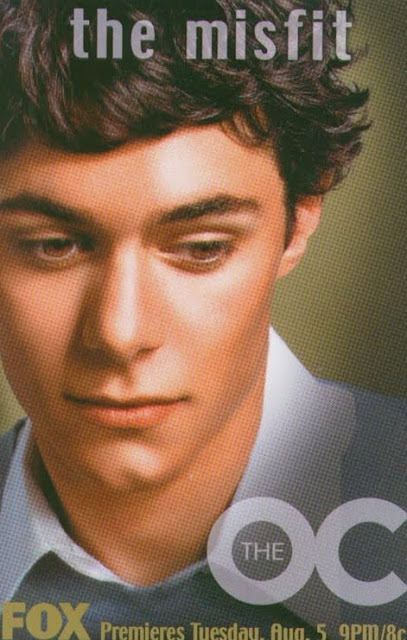 Basement: The O.C. Drinking Game!